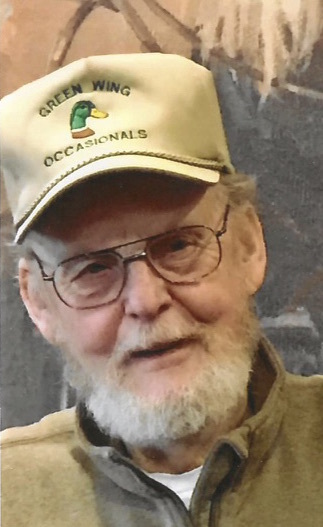 Jerry Wayne Munson, 74, of Metamora, IL passed away at 1:52 am on Thursday, January 24, 2019 at Unity Point Health-Methodist in Peoria. He was born on December 10, 1944 in Peoria, IL to Chancie and Ella (Harding) Munson. He married Bonnie Winkler on February 5, 1966. He later married Hazel Virginia Harris on December 28, 2001 in Metamora. Surviving are his wife Virginia of Metamora; children Christy (Wayne) Bergmann of Metamora, Cathy Munson of East Peoria, Cindy (Chris Sprout) Seidel of Metamora, and Kathy (Rollie) Matlock, Rodney (Casey) Brown, and Marlya (David) Kelley all of Jackson, MO; fifteen grandchildren; seven great-grandchildren; sister Dianna Pinkney of Peoria; and favorite nephew Troy Pinkney of Peoria. He was preceded in death by his parents. Jerry was a glazer for 27 years last working for Illinois Valley Glass and retiring in 1990. He was a member of the Izaak Walton League of America Peoria Chapter since 1972 and the Painters and Allied Trades Local 157. He enjoyed fishing, car shows, and time spent with his grandkids. Funeral Services will be held at 11:00 am on Monday, January 28, 2019 at Mason Funeral Home Metamora Chapel with Reverend Wayne Bergmann. Visitation will be held from 3:00 pm until 6:00 pm on Sunday, January 27, 2019 and also one hour prior to his service on Monday both at the funeral home. Burial will be in Swan Lake Memory Gardens in Peoria. In lieu of flowers memorials may be given to Izaak Walton League of America Peoria Chapter, 1125 Spring Bay Road, Route 26, East Peoria, IL 61611 or Central Illinois Independents Special Olympics, 826 LaSalle Boulevard, Marquette Heights, IL 61554. Online condolences at www.masonfuneralhomes.com.